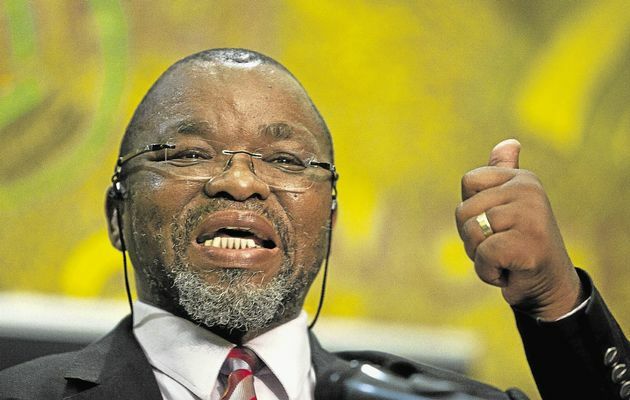 IF THERE was a big difference in strategy between the ANC under Mandela, and Hamas under Mashaal, then it certainly showed at Gwede Mantashe’s press conference. Mandela understood that there was no possibility of winning a conventional war, and that the armed struggle itself, was doomed. Instead of fighting for a one-party Marxist state, (or a unity government under a sovereign monarch), he dreamt up a democratic “We the People” Constitution and a Bill of Rights in which all South Africans, black and white, Jew and Non-Jew, could live side-by-side. This contrasts strongly with Khaled Mashaal and the Hamasist fantasy of a Jew-free Jerusalem. A second Mecca, in the hands of an Islamic Republic under the Caliphate. Like Kemal Ataturk, who abolished the Ottoman Caliphate and built a secular country called Turkey, Mandela abolished the Christian Theocracy which had ruled South Africa under the National Party and introduced a secular constitution, whose 20th anniversary is coming up next year in 2016. The SA Bill of Rights includes Freedom of Religion (and freedom from religious rule). It contains 45 rights and freedoms missing in the Hamas Death Charter advocating the destruction of Israel in a “final battle against the Jews”. If Hamas had been in charge of the South African struggle, then its leadership too, would have delivered belaboured speeches of reconciliation, but only involving the ANC, PAC and AZAPO, while excluding the Afrikaner Nation. Leaving out the other side unfortunately, is all part of an heroic religious battle. “Al Quids (Jerusalem) is our right, our capital, and we will continue until we get rid of occupation,” says Mashaal. Is there any point in raising an uncomfortable rhetorical question — what about everyone else, those religions and sects whose capital the City of Jerusalem also represents, in world history? Listening to the Hamas spokesperson on SABC, was like listening to a salesman offering a major Reform of Islam on a Communist instalment plan, an end to ‘Segregation on the Temple Mount’, coupled with an end to Israeli occupation of Al Aqsa, and all in keeping with the vaguely Marxist language of Hamas, along with its Politburo. So in order to capture the jewel of Dar al-Islam from the Zionists, Mashaal is willing to forego general customs and traditions in a reform of Islam in the image of Hamas? All this perhaps, in order to negotiate favour with the country that is perceived to offer the gateway to Paradise — South Africa and its readily available freedom struggle, providing moral immunity from such democratic questions, as how many rights does it take to make a real constitution? Forgetting that Mandela himself, was a secularist and bipartisan, who supported a two-state solution? “Support for Yasser Arafat and his struggle does not mean that the ANC has ever doubted the right of Israel to exist as a state, legally. We have stood quite openly and firmly for the right of that state to exist within secure borders.” Nelson Mandela. If Mandela were alive today, his views would be quite similar in regard to Hamas, and especially the problem in the Middle East surrounding religious conflict. “Islam, doesn’t need a Reformation, it needs an Enlightenment”, says Maryam Namazie writing in the Guardian. A critic of religious zealotry, Namazie also perceives what is immediately apparent, both in the rhetoric of Hamas and the radicalism of ISIS. Thus, while one may be moved into solidarity with the oppressed, it makes no sense if we do so whilst resurrecting the political ghosts of 1976, only to fail even further in our duties, in forgetting that National Reconciliation only came about in South Africa via a negotiated settlement — ballots not bullets — certainly not a winner-takes-all victory of war and bloody mayhem. Thus one may also add, it is crucial here, that we recognise the right to criticise, debate, and engage, what is rapidly becoming yet another conservative backwater in South African politics, the Marxists (and Marxism) of the Gwede Mantashe’s of this world. The empty Hamas rhetoric of those who brought us Marikana, Andries Tatane, and so many countless betrayals of Mandela’s democratic dream. These are surely empty political promises, made by today’s ruling party elite in the name of ideology and human-made religion.